Sindorf Trading Holland is an intermediary between the old and the new. Used machines are bought all over the world and brought to the workshops in Ter Apel. There they are completely stripped down, cleaned, upgraded and, where necessary, provided with components and engines after which they are re-sprayed in bright colours. After these drastic operations the machines are indistinguishable from the new ones and can start a new life anywhere in the world. The equipment in the workshops is excellent. Not only as far as tools and devices are concerned, but also in terms of provisions against pollution of the environment. To Sindorf, quality is of the utmost importance and we certainly have a name to live up to. A reconditioned machine must run without problems. When it leaves our workshop, it is for 100 % ready for use, because delivery only takes place after extensive technical checks. If required guarantees are given on the components. 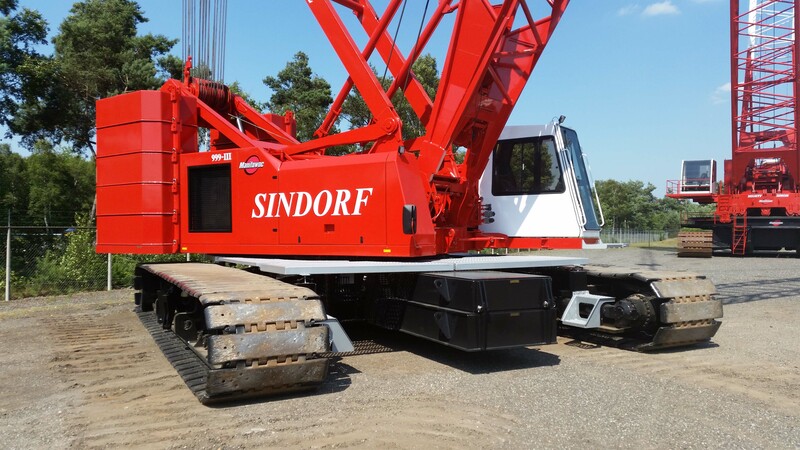 Apart from completely reconditioned machines however, Sindorf Trading Holland also supplies equipment for which this quality guarantee cannot be given, because it has not undergone the complete reconditioning programme. This is done in order to meet the demand for cheaper machines. For instance because they are only needed for a brief period. 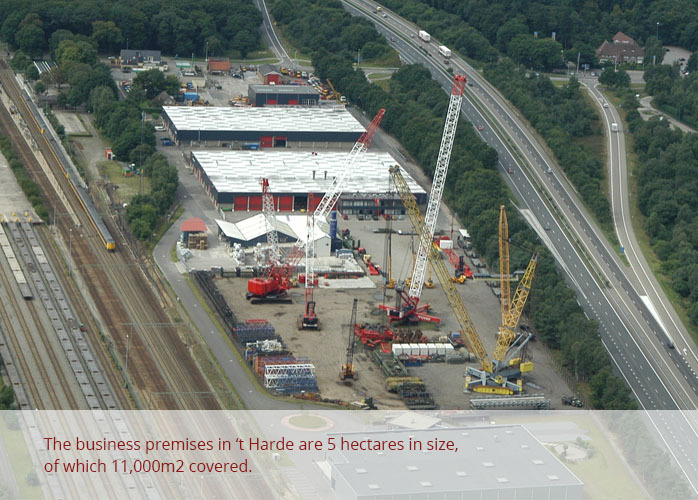 Sindorf Trading Holland has more than sixty years' experience in buying and selling heavy equipment. The head office is situated in 't Harde in The Netherlands. Sindorf supplies from stock and when a machine is still in the process of being reconditioned, an extra effort is made by expert engineers to get it in working order as soon as possible. 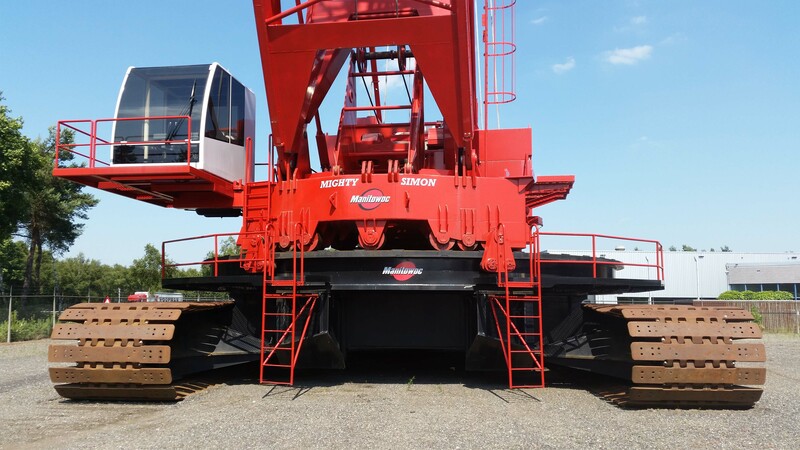 The cranes, bulldozers, trucks and pipelayers from this company find their way to building contractors and construction firms in both road construction and hydraulic engineering as well as civil and utility engineering. Due to their capacity and tonnage they are particularly suitable for the more complex and larger projects such as floodcontrol dams, power stations, high-rise construction, drilling platforms, etc. 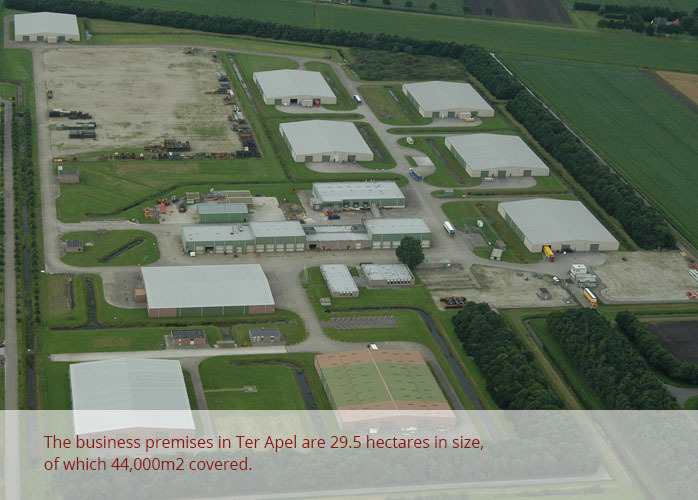 In 1996 the former Nato premises in Ter Apel were bought. Since then the workshops were fitted up at this location. The employees at Sindorf are aware that apart from supplying a good product and adhering to short delivery times, a flexible attitude, the correct processing of documentation and good after sales are just as important. As a result of this vision long term relationships were built up with many customers.